I’m so excited that I had my last chemo session yesterday — No. 16 out of 16! I’m a little beat up — I’m tired, bald, have no eyebrows, no eyelashes, I have mild neuropathy in my fingertips and frustrating “chemo fog” in my brain, my fingernails look like someone took a hammer to them, my muscles can’t even seem to open my car hatch, I can’t walk up the stairs without gripping the rail, my purse looks like a grandma’s purse with Kleenexes and pill bottles, but …. And my doctor assures me that all these side effects (and there are more!) will go away. So that’s why even though I have all those side effects, I still have a smile. The smile is for my gratitude toward God, my doctor, my husband who took care of me, my parents and sis-in-law and so many friends who came with me to chemo and helped me out, all the wonderful friends who texted and sent cards and sent Facebook love and Instagram love and cheered me along, my lovely readers who sent emails and notes to check in on me — just SO MANY people. I’ll be writing more posts for all of you throughout May, to thank you all! I’ll also be sharing more of my experiences — what chemo is really like, my hat parade, a wonderful surprise hat party that my friends threw for me, what it’s like to be bald, and things that surprised me (the good, the bad, and things in between). Next up is surgery, planned for the end of May. But before then I need to get my red blood cells and white blood cells (always depleted by chemo) back up, which means that throughout May, I get to relax, rest, and recharge. Okay, I have to admit, my blog is starting to feel overwhelming. Mostly because I’m so behind now that I don’t know how to catch up. But – now that I think about it – I do know. One foot in front of the other, right? That’s become my new mantra. I skidded into the finish line getting my fourth book done (Lavender Island 2) on Oct. 6. The next day, I went in for a long-overdue mammogram because I felt a lump about 2 days prior. Over the next couple of weeks, I did a follow-up visit to my dr, a diagnostic mammo, an ultrasound, a biopsy, and was diagnosed with breast cancer on Oct. 19. My edits came in on Oct. 21. Life became a bit of chaos through the end of October as I navigated fear, appointments, more fear, a PET-CT, an MRI, a gene test, meeting a breast surgeon, meeting an oncologist, fear, edits, having port-placement surgery, my regular full-time job, fear, edits, and more edits. Also Halloween. Also my son’s 16th birthday. 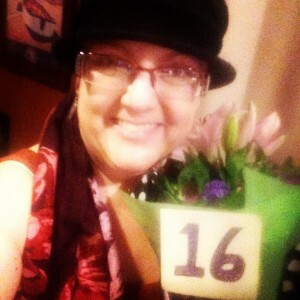 I started mellowing out once all the testing was done and I was “staged.” I was put at Stage II-B breast cancer, which means lymph nodes were also affected, but also nowadays has about a 97% success rate of living beyond 5 years, so that relaxed me considerably and made me square my shoulders and just get ready to do this thing. November was mostly about telling everyone that I had breast cancer – Who to tell? How? Plus I worked on edits for 6 weeks. By Thanksgiving, though, I was feeling strangely calm and ready to roll on the breast cancer treatment! We’d decided on chemo first, surgery second. My first book with my new publisher (The Kiss on Castle Road) came out in the UK on Dec. 1. My first chemo was Dec. 3. I turned in my edits on Dec. 7. Then December was another month of chaos, but the fun kind — lots to keep my mind occupied while I did two rounds of chemo. My older kids came home from out of state; we mostly sat around and visited (very low-level shopping, wrapping, and decorating – they helped out a lot!) Plus there were lots of family gatherings and parties that made the month fly by and kept me very preoccupied. My husband shaved my head on Dec. 25, and things got real. My third round of chemo was on New Year’s Eve. The Kiss on Castle Road launched officially on New Year’s Day. January was adjusting to a new reality of no hair, feeling sicker with chemo, and not as many happy distractions to keep me from noticing how sick I felt. But I was excited about my book!!! My copyedits for the second Lavender Island book came in on Jan. 7ish and were due Jan. 26. I had my fourth (and last) round of the “worst” chemo on Jan. 14. I turned in my copyedits for the 26th. And here we are! – Both books are done, all edits are done, my contract is done, my “worst” chemo is done, the holidays are done, and I’m suddenly feeling like the groundhog from yesterday’s Groundhog’s Day, popping my head out, looking around, and seeing what’s going on. What happened while I was in my own little personal tornado since late September? And where do I go from here?